Valentine's Day is the perfect time to buy a new fragrance for the one you love, or for yourself, in my case! 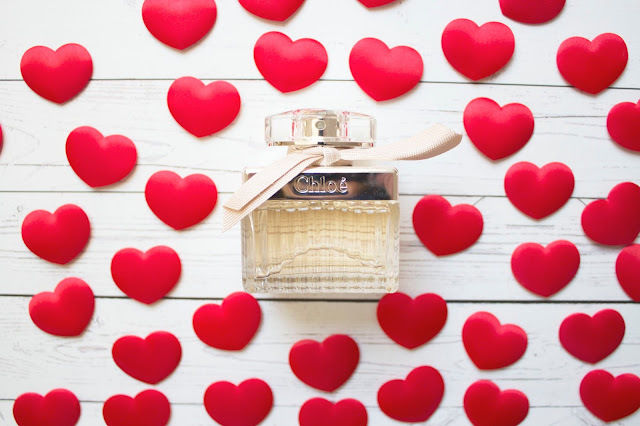 I've lusted after this perfume from Chloé for so long (along with their handbags..) so I was so excited when Debenhams asked me if I wanted to take part in their Valentine's Day campaign. The perfume I was going to receive was a surpise and I was so excited to open to package and find this Chloé fragrance. The bottle is very simple yet classic and elegant with the addition of the little bow, I love the simplicity yet classy design and I think it is something Chloé are well known and well loved for! The scent is again, very elegant and classy as expected as well as being fresh, feminine and delicate. The fragrance is a combination of floral notes such as Peony, Rose and Freesia along with Amber and Cedar notes. While I have a lot of overly sweet perfumes and slightly darker less feminine ones, it's really nice to have one inbetween. It's not overly sweet and overpowering yet still a lovely feminine and girly fragrance that I've received many compliments on and have been loving wearing lately! Definitely check out this beautiful fragrance here and make sure to have a browse on the Debenhams website to see which other perfumes will be perfect as a Valentines gift, or just a little treat for yourself!